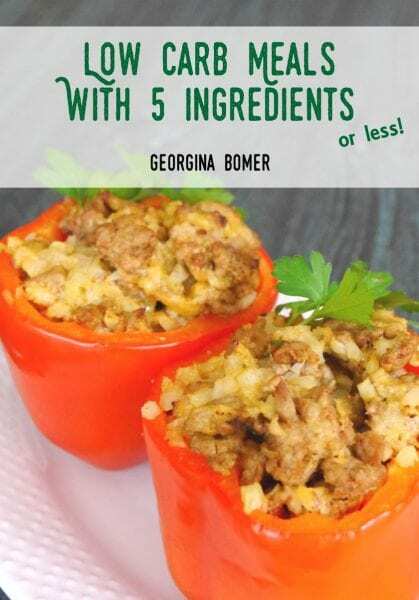 Low Carb Meals With 5 Ingredients (or less) is a new book full of simple and delicious recipes, and is available in paperback and ebook formats. Are you always SUPER busy? 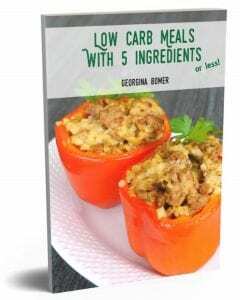 Is it hard to find the time or energy to cook low carb meals? Then you’re going to LOVE my new book!!! And if you want to read more about that dish featured on the front cover – check out why I loved this recipe so much in my Low Carb Stuffed Peppers post! It’s *seriously* delicious and worth a recipe page of its own! So what are you waiting for?!?! ?